How's your favourite way to drink milk? 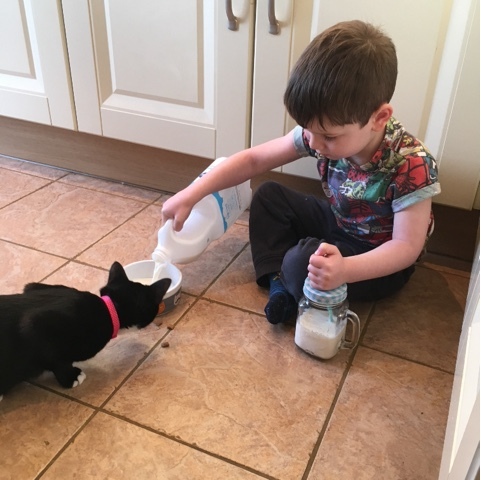 In our home there are 2 big milk drinkers, T LOVES milk and now we have Twiggy, his favourite way to drink his milk is with her. 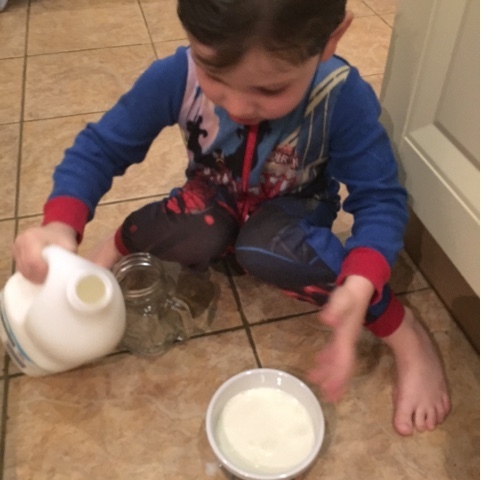 Trying to make him a little more responsible and really including him in the welfare of his pet, his chore is to give Twiggy her milk when he has his. Making sure that she has hers before he has his. T has started to have his milk in a small mason type jar glass and Twiggy enjoys hers in the cat bowl T chose for her before she arrive with us. 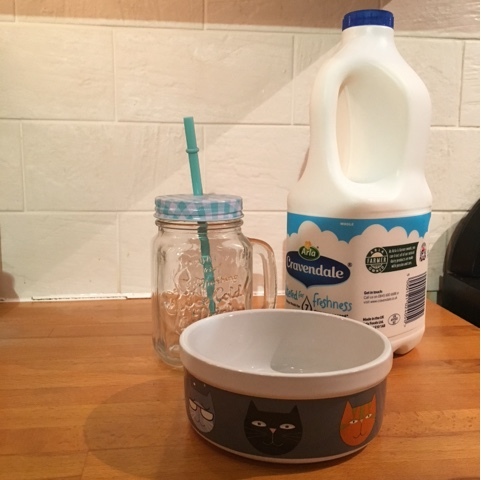 Their daily milk ritual is often accompanied by cat treats and biscuits and the milk has to be nicely chilled, especially for T, Twiggy isn't as particular! 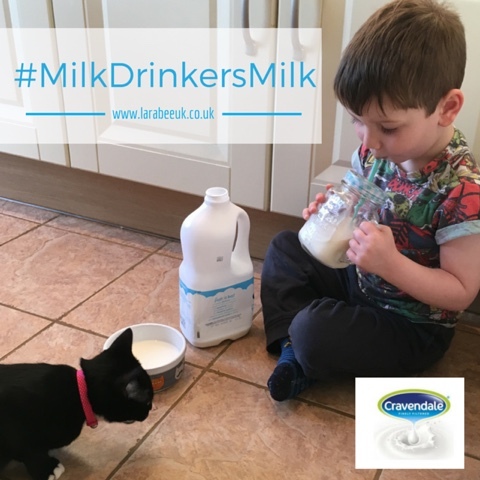 Long lasting and filtered for freshness Cravendale is perfect for our family and our little milk drinkers. NOTE: some people think that cats are allergic to milk, we adopted Twiggy from the RSPCA who had already given milk by her foster home, it doesn't seem to affect her, but I thought I'd better mention this.